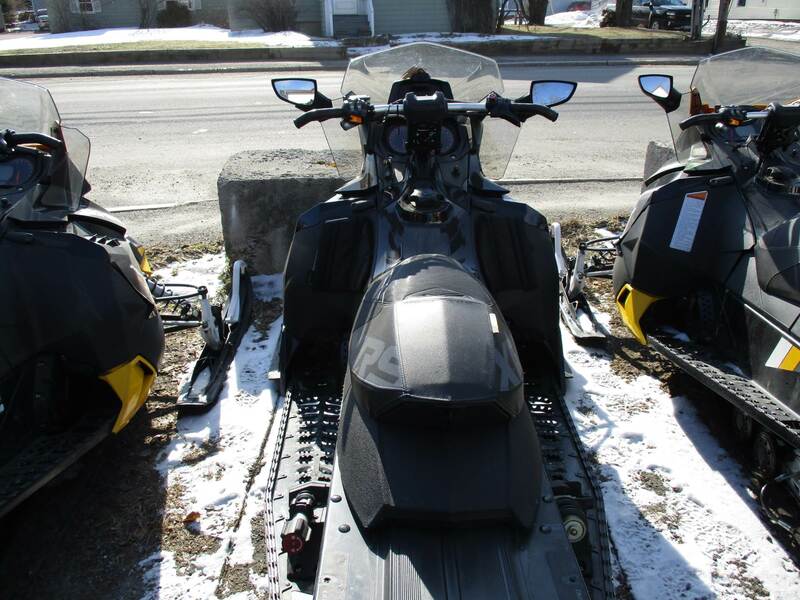 2016 Ski-Doo Renegade X-RS 800R E-TEC ES w/ Adj. 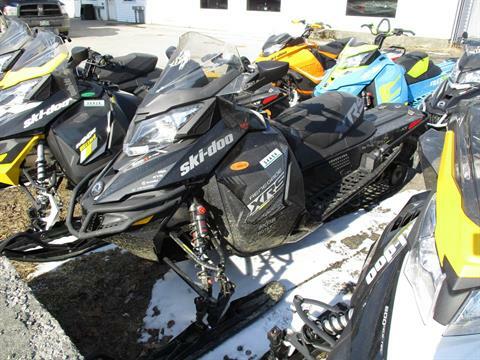 pkg, Ice Cobra 1.6"
This is the sled for the most demanding crossover enthusiasts. It starts with the capable and precise chassis from the MXZx 600RS race sled, including chassis reinforcements, wide running boards, and adds a little length to give it that go anywhere ability. Then it adds bottomless KYB Pro 40 piggyback racing shocks and more race sled parts for extreme capability. ROTAX 800R E-TEC ENGINE: This revolutionary direct-injection two-stroke allows monster power, yet smooth, linear and manageable. And thanks to proven E-TEC technology, it has virtually no smoke or smell – especially at start and idle – and starts on the first pull, every time. RAS 2 FRONT SUSPENSION: We further sharpen the industry’s best handling snowmobiles. New geometry and lighter components increase precision, especially in extreme bumps. Sharp new styling, too. Reduces weight by 1.76 lb (0.8 kg). KYB PRO 40 SHOCKS: Lightweight and very capable aluminum shocks. Wide range of adjustability with rebound damping adjustment and rebuildable/revalvable design. NEW ICE COBRA TRACK (OPTION): New 15 x 137 in. (38 x 348 cm) track pre-studded with ICE technology and optimal lug height for riding on- and off-trail. Cupped lugs deliver superior acceleration and braking in loose, soft snow conditions. 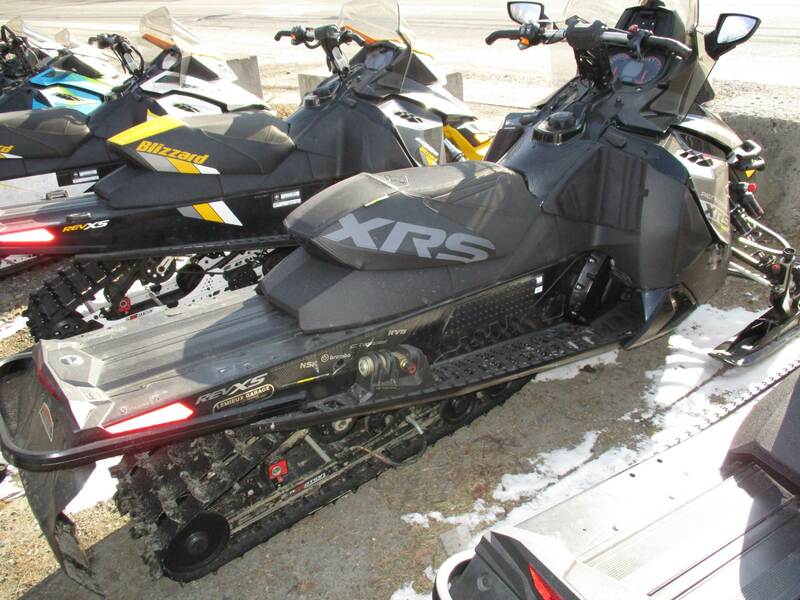 REV-XS RS CHASSIS: Same chassis used on the MXZ X 600RS race sled, including most reinforcements and wide, strong running boards with extruded edge. 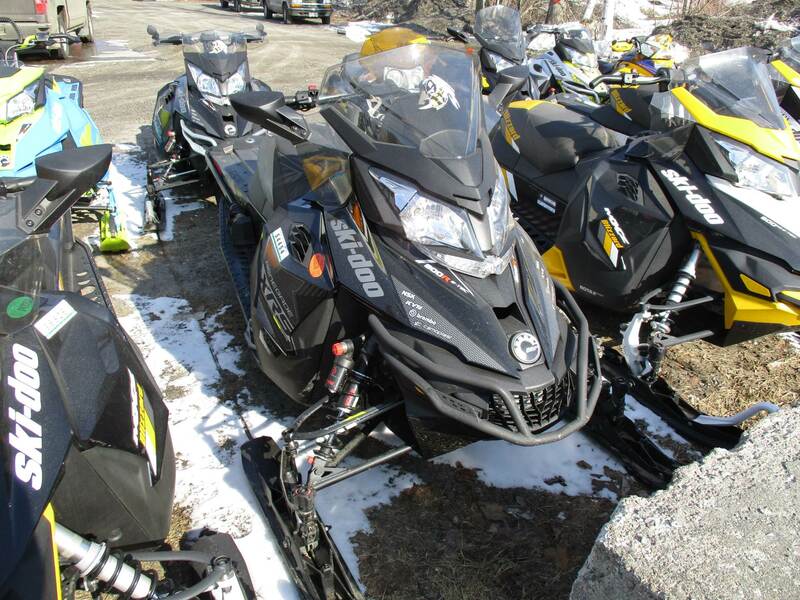 The REV-XS body style has a more aggressive cornering position, added wind protection, glove box and more. Layered flowing edge styling delivers exceptional fit and finish. The steering post can be moved forward to create a very aggressive position for stand-up riding. NEW PILOT TS ADJUSTABLE SKIS (OPTION): With the Pilot TS ski, you can dial-in ski bite for conditions or your riding style by turning a knob on the ski leg. 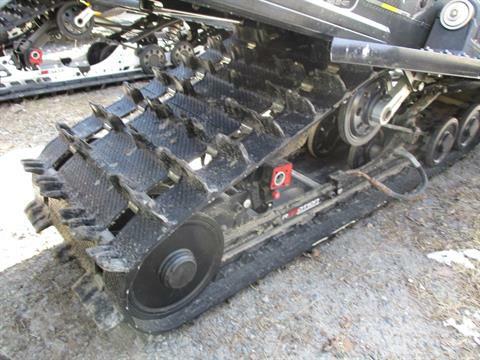 It raises or lowers the ski runner over a range of .5 in. (12.5 mm). This thin runner and new square keel design work together to make darting a thing of the past. 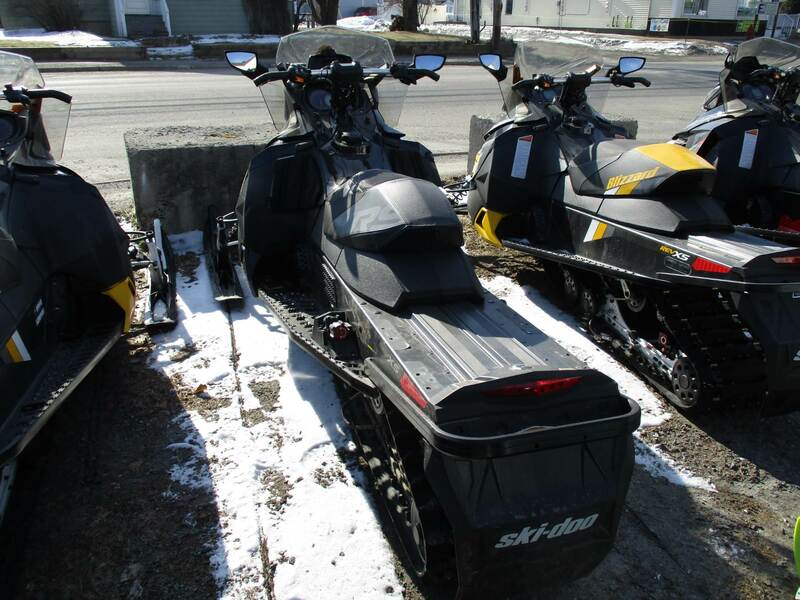 The Pilot TS ski is available as a Spring order option with the Adjustment Package. This option includes rMotion Quick Adjust system with no-tool tuning of the rear spring preload and shock compression damping on the running boards and new Pilot TS adjustable skis. 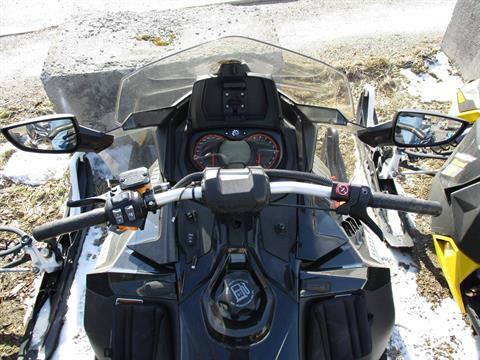 NEW ADJUSTMENT PACKAGE (OPTION): This includes rMotion Quick Adjust system with no-tool tuning of the rear spring preload and shock compression damping on the running boards and new Pilot TS adjustable skis. Available as a Spring Order option on select models*. *On Renegade X-RS, Renegade X, MXZ X-RS and MXZ X.
rMOTION REAR SUSPENSION QUICK ADJUST SYSTEM (OPTION): Running-board-mounted controls for rear suspension spring pre-load and rear shock compression damping make fine-tuning fast and easy, even with gloves on. Increases spring preload adjustment range by 40%, with infinite settings. Renegade X-RS 800R E-TEC ES w/ Adj. pkg, Ice Cobra 1.6"
3110 mm / 122.4 in. 1200 mm / 47.2 in. 218 kg / 480 lb. 3487 mm / 137 in. x 381 mm / 15 in. x 40.6 mm / 1.6 in.